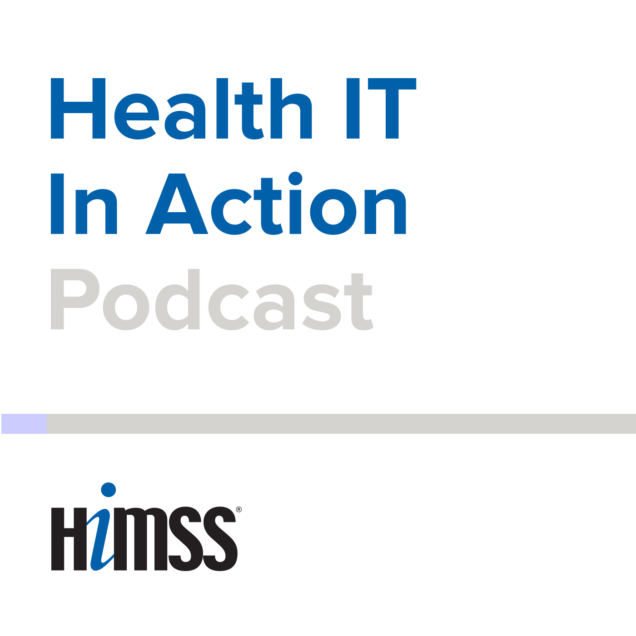 Vikram R. Kumar MD MBA FAAP, chief medical information officer at Arrowhead Regional Medical Center (ARMC) in Southern California and practicing pediatrician, discusses how informatics affects his daily routine, both as a leader and at a clinical level. Health IT costs for physician practices are soaring, yet there isn’t much evidence that all the spending has been worth it, a new report suggests. In its annual report on cost and revenue for physician practices, the Medical Group Management Association found that physician-owned multispecialty practices spent $32,592 per full-time doctor on IT hardware, software, maintenance, staff and other needs in 2015. That is up 42 percent from $22,944 in 2009 and 19.5 percent from $27,285 in 2011, the Englewood, Colorado-based MGMA said. The 2015 costs break down as $9,405 for IT staff and $23,187 for equipment, maintenance and supplies. In recent years, providers have been hit with multiple federal mandates and programs that have necessitated health IT spending. These include the transitions to the ANSI 5010 standard for HIPAA transactions in 2012 and to ICD-10 in 2015, as well as Meaningful Use and the Physician Quality Reporting System. “It’s the sheer number of them,” said Robert Tennant, MGMA director of health IT policy. And there has not been a solid return on investment, according to the report. “They spend this money and they’re really not sure that they’ve gotten what they were promised,” Tennant said. The improved patient outcomes, reduced hassle and lower costs simply haven’t materialized, he explained. “There’s really no correlation between the [Meaningful Use] program and improved patient care,” Tennant said. Usability has been a well-documented issue with electronic health records, too. Healthcare has long been perceived as being far behind the rest of the business world when it comes to adopting information technology, but Tennant didn’t think that the need to play catch-up has been a major factor in the escalating costs. “To be competitive in today’s healthcare environment, you have to offer all the bells and whistles,” he said. For medical practices, that means patient portals, 24/7 access to test results and the ability to schedule appointments and pay bills online. “In the D.C. market, that’s a huge selling point,” the Washington-based Tennant said. Plus, he added, new physicians, who grew up in the digital age and used EHRs in medical school and residency, do not want to work at paper-based practices. The pro: Billing for transitional care management — services rendered for certain patients during their transition from an inpatient hospital setting to their home — boosts income for physician practices. In 2013, the Centers for Medicare and Medicaid Services began paying for TCM, which could, in some cases, yield physicians more than twice the reimbursement of a hospital follow-up office visit. The con: Operational challenges make it difficult to meet regularly requirements. These requirements state that physicians must provide initial contact with the patient within two business days of hospital discharge. Within seven or 14 calendar days (depending on the patient’s complexity), they must provide a face-to-face visit. In addition, transitional care management is for 30 days of services, so physicians can only bill TCM once every 30 days. Dr. Lonnie Robinson, a family physician at Regional Family Medicine in Mountain Home, Arkansas, said that without the help of technology — specifically an easy-to-use TCM app called Phyzit — he would have had a difficult time meeting TCM requirements. In a busy practice of eight family physicians and three nurse practitioners, he said it’s difficult to track hospital discharges and meet the deadlines for patient contact. That’s where the app helps. And now he bills for TCM at least once a week. “Care coordinators don’t have to sit down and figure out who’s due for a phone call, who’s due for an office visit and what day the billing has to take place for this all to work properly,” said Robinson. Local hospitals send patient admission and discharge information to care coordinators working at the practice who then enter this information — along with patient demographic data — into the app. Coordinators also monitor the state’s health information exchange for admission and discharge information. The app handles the rest of the work for them, notifying them as deadlines approach. “The care coordinators tell me it’s a good value for the price, and they would like to keep it,” he said. Since Robinson began billing for transitional care management in March 2015, he has noticed a 40 percent increase in revenue for eligible hospital follow-up visits and a decrease in readmission rates from 13.1 percent to 8.2 percent. He said the cost of the app is minimal considering the short- and long-term payoff to ensure compliant TCM billing. Nomad Health, a nearly one year-old healthcare staffing startup, has developed a way to automate the process of collecting applications, including licensing and credentialing information. The New York City-based business sees an opportunity to match clinicians with healthcare facilities looking to fill short-term clinical vacancies and cut out brokers in favor of greater billing transparency and lower commissions. Alexi Nazem, Nomad Health co-founder and CEO, also views telemedicine as the next frontier for its service. Nazem said in a phone interview that the startup would use the more than $4 million from a Series A round that it closed this week to ramp up its marketing and sales teams, with plans to add seven more staffers over the next six to nine months for a total of 12. First Round Capital and RRE Ventures led the round and .406 Ventures also participated. The company has raised about $5.3 million to date. It received seed funding from angel investor Kevin Ryan, who co-founded Business Insider, and serves as Nomad Health’s chairman. Ryan also took part in the Series A. First Round Capital also invested in Nomad prior to the latest financing round, Nazem said. “Our core product is a marketplace that allows doctors to search for jobs and clinics to search for doctors,” Nazem said. An algorithm matches the needs of hospitals with the most qualified clinicians based on licensing, dates available, specialty, and location, among other things. Nazem emphasized that it’s the job of each institution to verify the information. The company began a beta test of its service just a few months ago and its hospital clients are based in the Northeast, such as St. Luke’s Hospital. When asked about the market opportunity for its service in telemedicine, Nazem said he sees a lot of potential. Although CredSimple complements what Nomad Health does, Nazem said the closest comparison to its company is a UK-based business called Network Locum. Prior to Nomad, Nazem said he was a practicing physician in internal medicine. He also worked for the Institute for Healthcare Improvement and on the 100,000 lives campaign to reduce morbidity and mortality in healthcare. The company’s home for the next 12 months is Grand Central Tech. The two year-old incubator provides free shared workspace and networking opportunities for startups without requiring companies to give up equity. Out of 1,000 businesses, Nomad Health was one of 19 to secure a spot. The chairman for Grand Central Tech is Michael Milstein, a member of the billionaire real estate family. As reimbursement evolves from fee-for-service to alternative payment models, incentives will shift from treating sickness to keeping the population healthy. New investments will be made in technologies that reach into the home and enhance care team communication. 2016 saw an acceleration of telemedicine/telehealth. 2017 will see exponential growth. Telemedicine is hard to define. It could be real-time video teleconferencing between clinicians (a consult), between a patient and clincian (a visit), or group to group (tumor board discussion). It could be the transmission of a static photograph, such as the poisonous mushroom/plant teleconsultation I do 900 times per year. It could be secure texting to coordinate patient care. 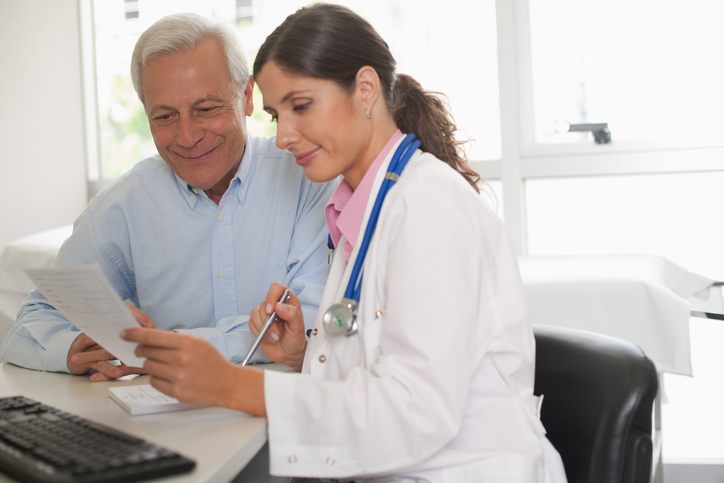 Patients might provide care teams with objective data from devices in their homes. Patients might answer surveys about their mood, activity or pain. All of these are telemedicine. Many companies will offer cloud-based tools and technologies to support these new workflows. Some organizations will use bridging technology to link together every kind of endpoint (Skype, Facetime, commerical telemedicine apps) with every kind of endpoint. There are so many use cases and so many possibilities that one approach will not serve all needs, so most organizations will have a multi-faceted strategy. How do you bill for telemedicine? There is a new CPT code, but it’s not clear how it should be used. How do you address multiple conflicting state laws when consulting across borders? How is the record of a virtual encounter stored and who is the steward of the record? For my personal telemedicine practice, toxicology consultation, I use an iPhone and email to review cases and images. No protected healthcare information is exchanged. I am malpractice-insured for telemedicine practice. When consulting across state lines, I provide advice to licensed physicians in that state and never interact with patients directly (or prescribe medications). I do not bill for these services. They are a public good. Medical records are kept by the physician consulting me, and that physician is the steward of the record. As hospitals expand to serve patients at the national and international level, as payment models require more home care/wellness care and as consumers demand the same kind of convenience from healthcare that they get from other industries, telemedicine will expand and mature. Telemedicine at BIDMC (part of Media Services) reports to me and I’ve requested additional staffing and investment for 2017. Technology, business needs, and customer demand are aligning to make telemedicine an increasingly important service offering for clincians and hospitals.